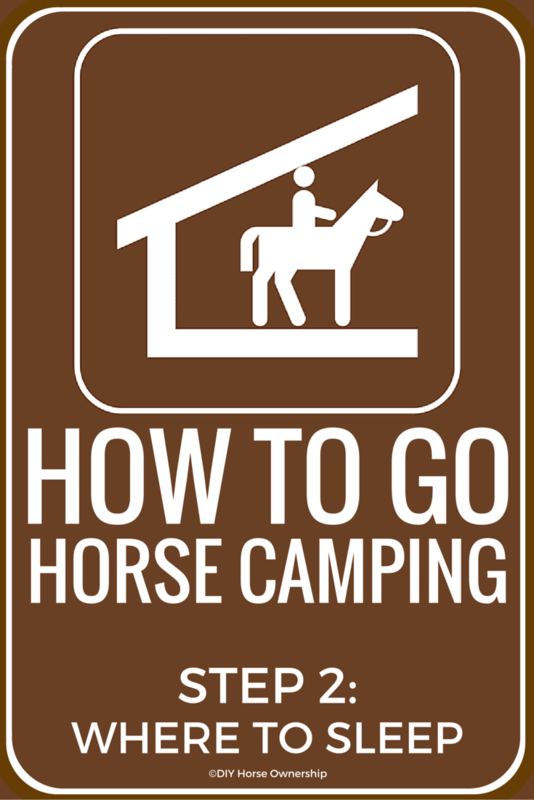 Now that you’ve picked an equestrian camp site, you’ll need to figure out where to sleep. You have a lot of options depending on how much you want to spend and how rough/luxurious you’d like your camping experience to be. If you have a trailer with living quarters (LQ), then you can camp in your trailer. Some campgrounds will have electric and water hookups, but others won’t. If those conveniences are important to you, you can invest in water tanks and generators to run your trailer off the grid. LQs can range from ultra-luxurious (and costing more than a house) to rustic. You can even transform a regular horse trailer into a LQ. If you’re the Do It Yourself type, join the Facebook group Horse Trailer Conversions II. You’d be amazed with what people have done to their horse trailers to make them into LQs. You don’t even need to have a gooseneck trailer. Clever people have transformed their bumper pull (BP) tack rooms into LQs. 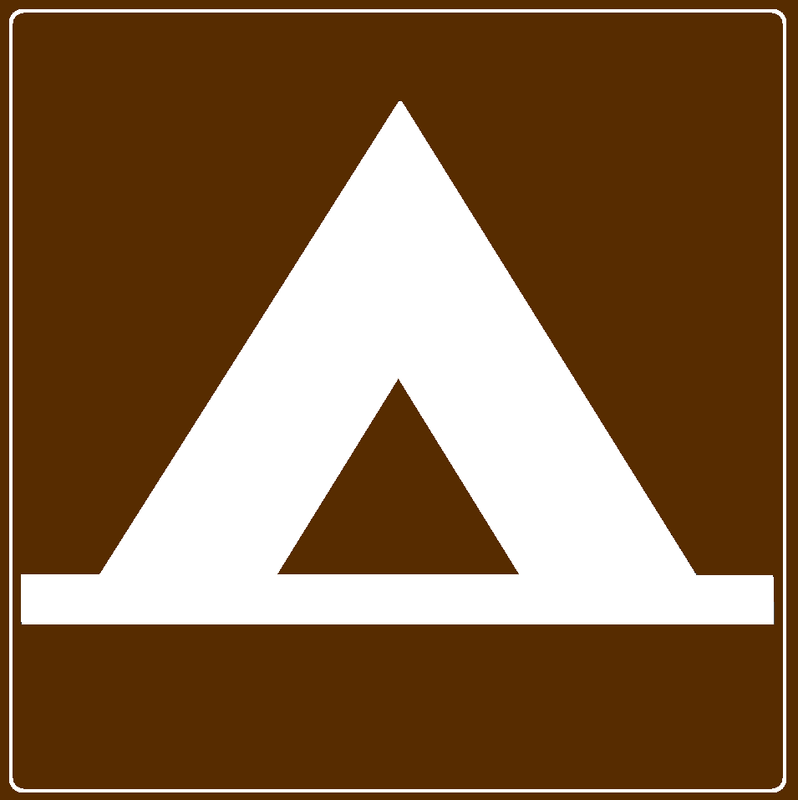 If you don’t want to spend a lot of money or time on an LQ, consider tent camping. You can pitch a tent at a horse campground just like at any other. Check out REI’s guide to choosing a tent. The nice thing about horse camping is that it is default car camping. If you’re going packing into the back country, that’s a different activity. When you’re horse/car camping, you don’t have to carry all of your stuff in a backpack, so you can live it up a bit even if you are staying in a tent. If you’re going to be camping in any kind of weather, I would also recommend getting an EZ-UP to put over your tent. This will keep you dry in the rain and provide extra shade in hot weather. You’ll also want to get a tarp to put down beneath your tent. Consider buying an inflatable mattress. You can buy a battery operated pump or get a pump that plugs in to your truck’s adapter. Bring pillows and blankets and make yourself comfortable. Tent camping can be fairly luxurious if you want it to be. Don’t want to sleep in a tent, but can’t afford an LQ either? If your trailer is a BP, another option is a camper top for your truck. These also range from pretty basic to luxurious. Fancier camper tops will even have a bathroom in them. And you can still tow your BP horse trailer. You do need to consider your truck’s GVRW when purchasing one of these. Keep in mind that you’ll be towing a horse trailer on top of whatever the camper weighs. A small truck is not going to manage this. You may also have a hard time getting this into a backwoods campsite if there are a lot of low trees overhead. Another option is a truck cap. These are the same – or close to – the height of your passenger cab, so they don’t add height to your vehicle. They’re also significantly lighter. However, you won’t be able to stand up in them. And if you’re truck has a short bed, you won’t be able to fit a mattress in. We have a long bed truck and can fit a full-size mattress and still have room for coolers and other supplies. If you’re going to go this route, I highly recommend lining the bed of your truck. Somewhere in between tent camping and a camper top, there are truck tents. One nice aspect of these is that you can drive to your destination with them folded up and then put them up once you’re parked at the campground. This is great for anyone with a gooseneck trailer or who needs to store hay or other supplies in the back of their truck during the drive. There are a wide variety of truck tents with different amenities to chose from. They're so worth it. Ours is really nice inside and it isn't actually ugly as sin. I love this series! I have a regular tent but I'm really intrigued by that truck tent, especially the one that seems like it expands out. And man those BP tack room remodels look so cool! Aren't they cool? I kinda want to do one even though I like my truck camper.